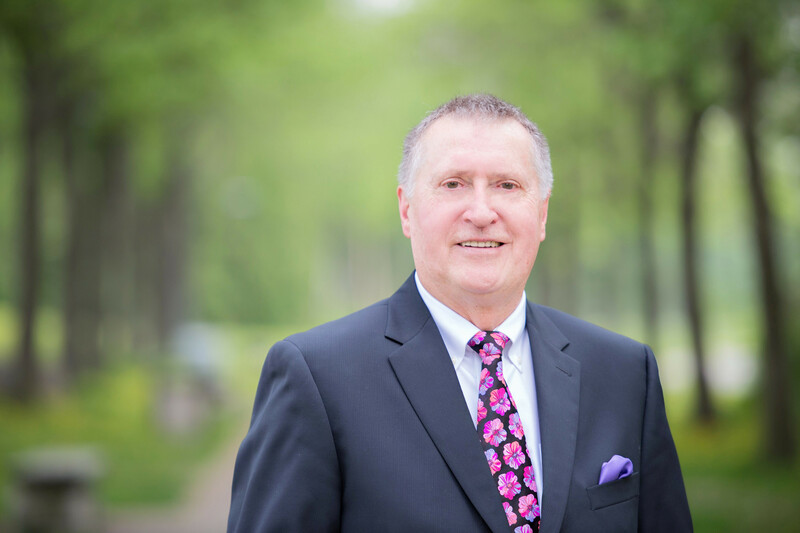 Dr. Charles Bélanger is a senior business professor with substantial management/leadership experience as an executive as well as an international consultant. He holds a Ph.D. in Institutional Assessment with a specialty in organizational audit and quantitative analysis. He has served in the positions of President and Vice-President of an Ontario university, (founding) Director of Institutional Research in the second largest Canadian university, and Principal Partner of two international consulting companies. He has consulted extensively for world-wide financial institutions and agencies in areas dealing with health management, training of vocational and professional workers, and organizational audit. With a passion for start-up and turn-around situations, Dr. Bélanger has received national and international awards for his pioneering work and his leadership/research activities. Besides serving on hospital, business bodies, school, sport association and club boards of directors, he is also a member of several editorial boards of scholarly journals, in addition to having served as Editor-in-chief of a peer-reviewed periodical. He has authored more than 100 publications and presented numerous conferences on all continents. In 2007, students voted him as the best teacher in his university. He has spent the last 20 years training business students and practicing entrepreneurship via international consultancies. Dr. Bélanger’s research is mostly focused on health management, innovative technologies in health, tertiary education management and strategies, and management education, . The graduate students he supervises have led him to apply his institutional assessment background to a range of diversified topics including social media, e-health, aquaponic enterprises commercialisation, immigration and diversity, the stock market, social enterprise, branding, etc. Razmak, J, Bélanger, C.H., & Farhan, W. (2018). Development of a Techno-Humanist Model for e-health Adoption of Innovative Technology. International Journal of Medical Informatics, vol. 120, pp. 62-76. Razmak, J. and Bélanger, C.H. (2018). Managing Patients' Data with Clinical Support Systems: A Factual Assessment. Journal of Decision Systems, ​vol. 27 (3), pp. 123-145. Wardley, L.J. and Bélanger, C.H. (2018). Work Design: Rethinking How Technology Is Used in University Classrooms. The International Journal of Business and Management, vol. 13 (9), pp. 1-12. Wardley, L.J., Bélanger, C.H., Hayes, D., & Leonard, V.M., (2018). Public Trust: How Does the Accounting Industry Stack up? Workplace Review, April issue, pp. 40-56. Wardley, L.J., Leonard, V.M., & Bélanger, C.H. (2018). Assessing the Ontario Chartered Accountant Association's Disciplinary Process: Can Self-Governance, Public Interest, and Capitalism ever Coexist? Accountancy Business and the Public Interest, ​vol. 17, pp. 63-88. Looknauth, T. and Bélanger, C.H. (2018). Accountants' Satisfaction Following Unification of Canadian Accounting Bodies. Journal of Accounting & Organizational Change,​ vol. 14 (3), pp. 250-272. Muray, M., Bélanger, C.H., & Razmak, J. (2018). Fall Prevention Strategy for an Emergency Department. International Journal of Health Care Quality Assurance, vol. 13 (1), pp. 38-52. Razmak, J. and Bélanger, C.H. (2018). Management of Techno-psychological Factors Influencing the Patient-Physician Electronic Relationship, International Journal of Healthcare Technology and Management, ​vol. 17 (1), pp. 29-48. Wardley, L.J. Bélanger, C.H., & Nadeau, J. (2017). A Co-Creation Shift in Learning Management: Work Design for Institutional Commitment and Personal Growth. Higher Education, ​vol. 74 (6), pp. 997-1013. Yasin, Y., Al-Hamad, A., Bélanger, C.H., Boucher, A., & AbuRubeiha, M.A. (2017).Expatriate Health Professionals in the Saudi Private Sector: Job satisfaction and turnover intention. British Journal of Healthcare Management, vol. 23 (4), pp.176-185. Wardley, L.J. and Bélanger, C.H. (2017). Customer Service, University Student Segmentation and Institutional Commitment. Int. J. Innovation and Learning, ​vol. 22 (4), pp. 498-523. Razmak, J. and Bélanger, C.H. (2017). Comparing Canadian Physicians and Patients on Their Use of e-health Tools. Technology in Society, vol. 51. pp. 102-112. Munro, M.M,. and Bélanger, C.H. (2016). Analyzing External Environment Factors Affecting Social Enterprise Development. Social Enterprise Journal, ​vol. 13 (1), pp. 39-52. Harvey, C. and Bélanger, C.H. (2016). A Study of Dependence and Confidence: Sudbury's Mining Supply and Services Sector. International Journal of Business Strategy, vol. 16 (2), pp. 25-42..
Leonard, V.M., Bélanger, C.H., & Wardley, L.J. (2016). Examining the Ethical Behaviour of Ontario Chartered Accountants: A Longitudinal Review of the Disciplinary Process. Accounting Perspectives, vol. 15 (3), pp. 169-199. Razmak, J. and Bélanger, C.H. (2016). Interdisciplinary Approach: A Lever to Business Innovation. International Journal of Higher Education, vol. 5 ​(2), pp. 173-182. Ibrahim, I.A.Y. and Bélanger, C.H. (2016). Pharmaceutical Representatives and Prescription Decisions by Saudi Physicians. Journal of Marketing Management, vol. 3 (2), pp. 69-79. Guilbault, A.B. and Bélanger, C.H. (2016). Building an Intermodal Logistics Network - Bridging the Gaps in Communications and Technology. The Journal of Management and Marketing, vol. 7 (1), pp. 10-20. Munro, M.M., Bélanger, C.H., & Mansour, M. (2015). Selection of a Social Enterprise: Focus on Criteria. International Journal of Business and Social Science, vol. 6 (10), pp. 111-119. Wardley, L.J. and Bélanger, C.H. (2015). Interdisciplinary: Suffering from a Lack of Effective Marketing? International Journal of Higher Education, vol. 4 (4), pp. 45-51. Yasin, Y.M. and Bélanger, C.H. (2015). Key Determinants of Satisfaction among International Business Students in Regional Context. International Journal of Business and Management, vol. 10 (9), pp. 19-32. Wardley, L.J., Mullen, K.A., Bélanger, C.H., & Reid, R.D. (2014). Organizational Development: Driving Forces and Barriers Encountered When Implementing Smoking Cessation Programs. International Journal of Business Administration, vol. 5 (3), pp. 19-29. Bélanger, C.H., Bali, S., & Longden, B. (2014). How Canadian Universities Use Social Media to Brand Themselves. Tertiary Education and Management, vol. 20 (1), pp. 14-29. Bélanger, C.H., McCartney, K., Leonard, V.M., Lebrasseur, R., & Jianming, T. (2013). Comparing Chinese and Canadian Accounting Students’ Expectations and Experiences. The International Journal of Business and Management, vol. 8 (20), pp. 117-130. Longden, B. and Bélanger, C.H. (2013). Universities: Public Good or Private Profit. The Journal of Higher Education Policy and Management, vol. 35, pp. 1-22. Wardley, L.J., Bélanger, C.H., & Leonard, V.M. (2013). Institutional Commitment of Mature Students: A Potential Brand Measurement? The Journal of Marketing for Higher Education, vol. 23 (1), pp. 90-112. Wardley, L.J. and Bélanger, C.H. (2013). Rites of Passage: Does Adaptation to University Mean Severing Prior Connections? Tertiary Education and Management, vol. 19 (1), pp. 32-51..